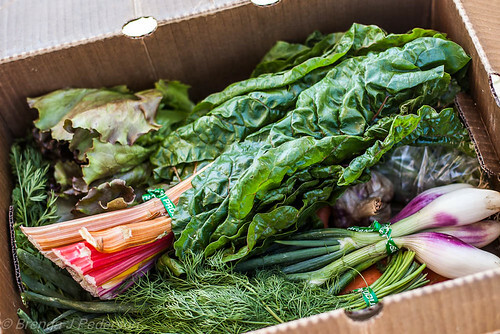 On Thursday, August 16th I stopped by marigold and mint in Melrose Market to pick up my box. Oxbow sends out a newsletter each week to their subscribers so I knew what would be in the box but I was still anxious to actually see it. 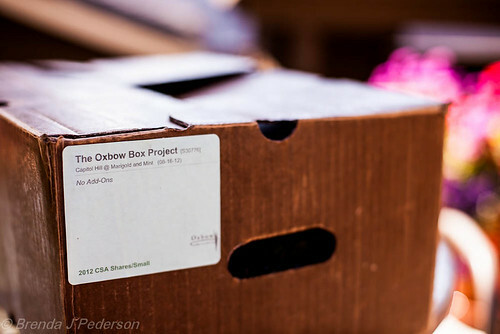 Oxbow recommends this small box for 2-3 people or as a subsidy for a larger family growing some of their own produce. I think that’s a good estimate. At $21/week it’s a great way to keep fresh vegetables in the house and to be introduced to some new items, too. When I was first contacted about participating I’d decided that I’d try to use as much as possible in a meal just to see what I could do with it. So on the following Sunday a friend came over and I served the following meal. 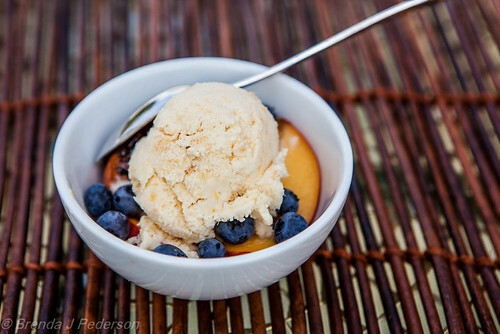 Fresh Peach Ice Cream with Blueberries and Grilled Peaches – no recipe for this one since nothing came from the box but every farm dinner needs to end with a great farm dessert! I’ve provided recipes of a sort – they are mostly lists of ingredients that can be tailored to your own tastes. You’ll find them linked in the menu above but each recipe has its own post to make it easier to read and to keep this post from being miles long. If you read all the recipes you’ll see that not all ingredients were used or only a small part was used. The “leftover” carrots, cukes, lettuce, etc provided great snacks and ingredients for green salads throughout the week. And I added the green beans to those I’d picked from my own garden to make a nice big batch of Pickled Green Beans. 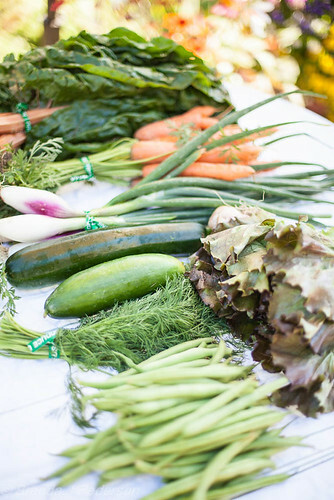 Also, keep in mind that trimmings from your vegetables or things like carrot tops can be used to make vegetable broth. When I’m cooking with a lot of vegetables I keep a pot close at hand and toss the all the bits and pieces that are leftover into it. I’ll then look through the refrigerator for any vegetable that might be getting a little old and add it to the pot. 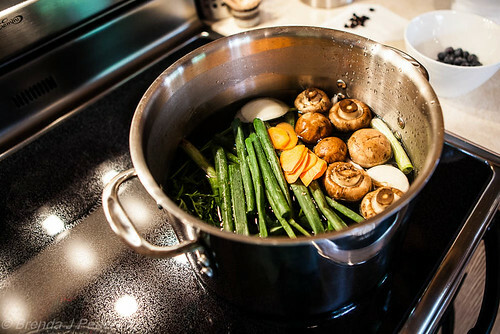 Cover the vegetables with water, bring the pot to a simmer and let the mix simmer for an hour or two. Strain the broth through a sieve to remove all the vegetable pieces. Portion the broth into 1 to 4 cup containers (leave a little head space to allow for expansion when frozen). Cool to room temperature and then place in the refrigerator to cool. Once cool, place in the freezer until you need it. This was a really fun project and I was happy to have the chance to experience CSA. If you’ve considered joining a program I’d recommend it! I have seen so much pickling on blogs today that I really must try it.